On February 14, 2017 30 past couples of the annual Happy FM Valentine Mass Wedding dating back from the year 2007 will have the opportunity to renew their vows in front of family, friends and sympathizers at a special dinner night. The event which comes off at Cleaver House, Accra at 6:00pm prompt is to celebrate their marriage anniversary and renew their love and commitment to each other. 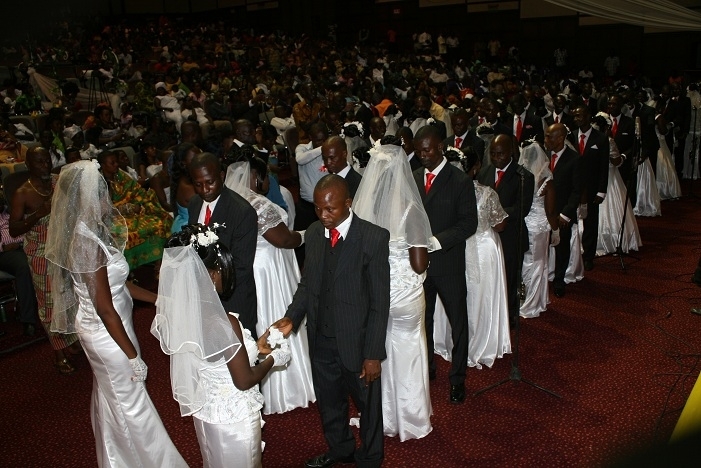 After 11 years of bringing together over 300 couples in an all-expense paid wedding ceremony, Happy FM has dedicated this year’s Val’s Day to celebrate past couples who took part in the mass wedding and to demonstrate the how strong and credible the mass wedding event has grown over the years. “We are very happy the mass wedding has played an invaluable role of giving couples the peace of mind to concentrate on building a life after the wedding, while Happy FM takes on the heavy expenses on their behalf”, he stated. As part of preparations towards the renewal of vows, the participating couples will undergo a one-day counseling session by seasoned marriage counselors and also engage in a special cooking contest as a way of relaxing and sharing special moments with their partners. They will also be given the opportunity to share their marriage experiences with the general public on the Ayekoo Drive with Happy FM’s DJ Advicer.